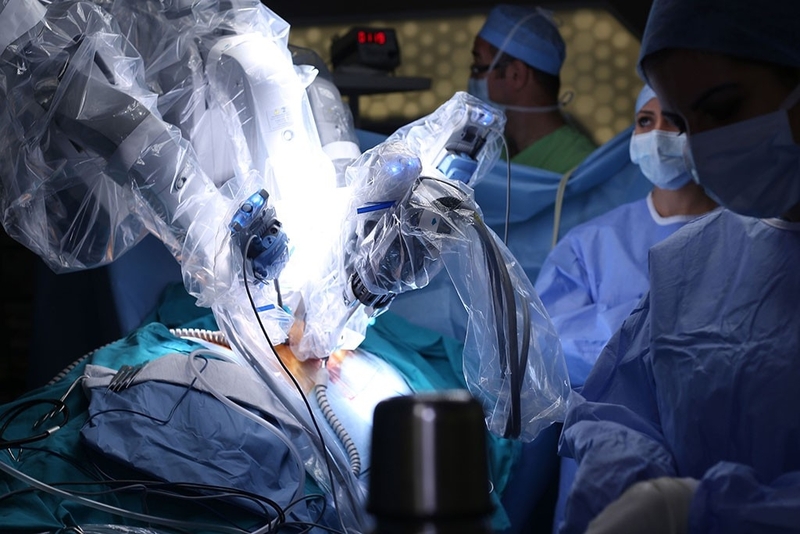 At the children’s National Health System in Washington, D.C, the Smart Tissue Autonomous Robot (STAR) provided a sneak peak to the future of surgery. Using advanced 3D imaging systems and precise force-sensing instruments the STAR was able to autonomously stitch up soft tissue samples (of a living pig above) with sub-millimeter accuracy that is by far greater than even the most precise human surgeons. According to the study published in the journal Science Translational Medicine, there are 45 million soft tissue surgeries performed each year in the United States.